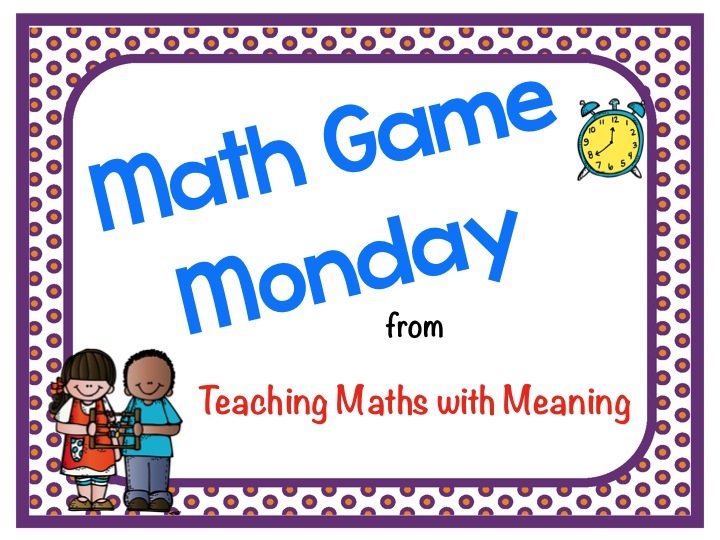 I am now up to the 11th week of my weekly series "Math Game Monday". Each week I upload this resource into cyber world, watch how many people visit my page, get a couple of comments, but really have no idea how many people download and appreciate my games! This week I have received some lovely comments and emails telling me how much people love, appreciate and enjoy these games. It has been so lovely to hear! You know who you all are, so thank you very much! I would love to hear from you if you are a regular downloader! 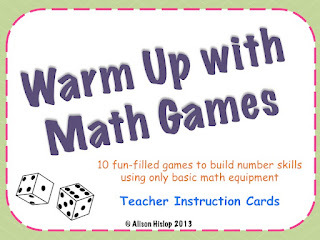 I also listed the first 10 games on Teachers Pay Teachers as a pack to download. I considered maybe this a freebie, but then decided that 10 hours of work probably shouldn't be free (and I like giving the freebie part of it away to my blog followers). 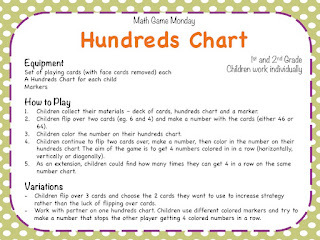 Needless to say - it isn't expensive, so if you are new to Math Game Monday and don't have the time to click through all the previous posts and download the pdf's, you could head over to TpT and download it here. Today's game is Hundreds Chart. You will need a deck of cards for each child, a hundreds chart each and coloured markers. Very simple, but great practise of using numbers. When I was typing it up, I actually decided I liked the variation better than the game itself - see what you think! All instructions are included in the download, including a hundreds chart (just add markers and cards!). Simply click on the image below! 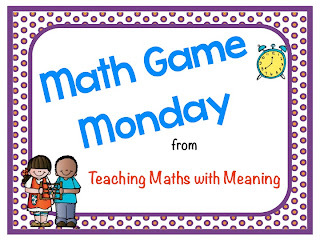 Click here if you missed previous Math Game Monday - Triangular Cards, 10 Second Walk, 10's Snap, Celebrity Numbers, Flip 3 and Add, Around the World, Race to 100, Nasty Game, Roll and Flip & Make that Number. Can't wait to put these into my rotation next school year! I love and appreciate your math games SO much! I am totally not a maths person, so any and all inspirational ideas are well loved. Thanks for sharing them with us! Looks great! I've been looking for new ways to play with the 100 chart! 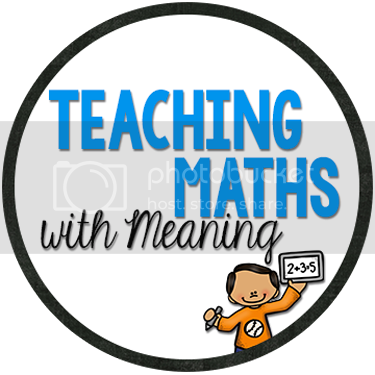 oh, and please check out my latest post - If you've got some great ideas for my little ones who are struggling with subitising/trusting the count I would love to hear from you! Thanks very much. I like both the game and the variations. An interesting game. I wonder if the kids are still understanding the value of the tens place though. I love your design for the PDF!